Akaso Brave 4 Review - Should you buy? Want to shoot vlogs, outdoor sports or underwater excursions but sure that GoPro isn’t good enough or too expensive? Then you’re in the right place. 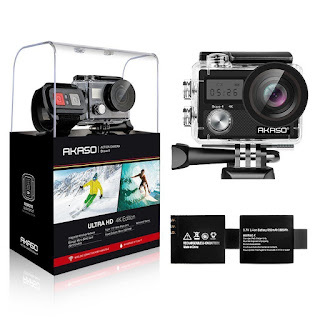 Akaso Brave 4 action camera is the good choice for you, it gives you more than what you need. Let us explore it in this review. Akaso Brave 4 camera has a very high resolution of up to a tune of 20 Mega Pixels. 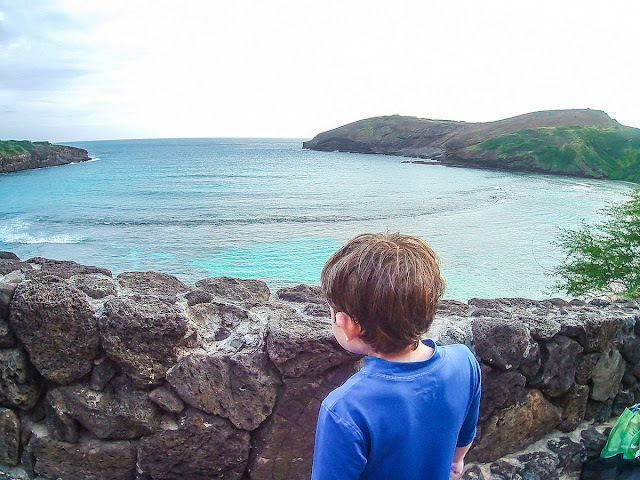 This enables you to capture incredible images that you can proudly share. The camera clearly records the wonders and the beauty of the world we live in. Clarity and a good contrast are what the camera does. In the technical aspect, the great video quality is the result of using 20 MP Sony sensor. 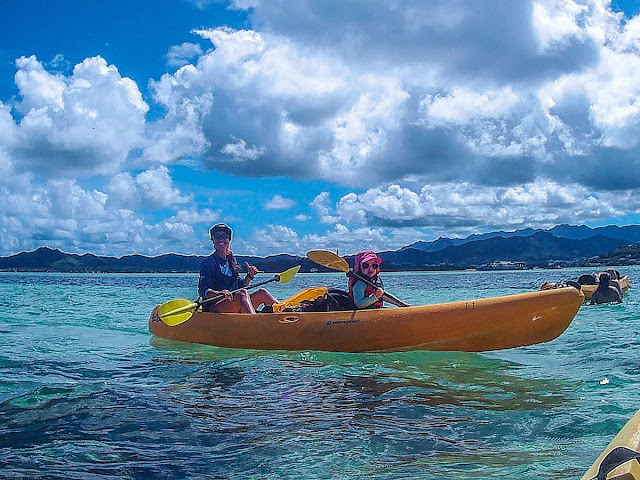 It is a waterproof camera with a 2 IPS inch screen. 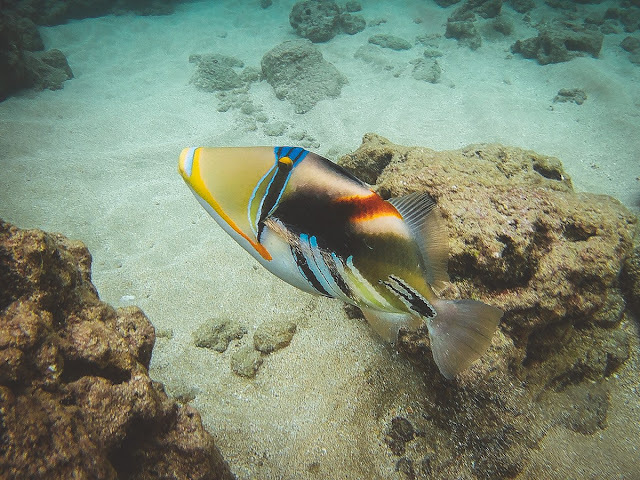 With this camera, you can record or take photos up to a depth of up to 30M under water. It can be a swimming pool or a deep river. What you need to do is to place your camera in a waterproof case and fasten it and capture your underground activity. In case you are capturing a video, the 2 IPS inch screen will allow you to preview your camera before you press the record button. The camera comes with two powerful batteries with the charging capacity of 1050mAh. One battery will last up to a tune of 90 minutes. 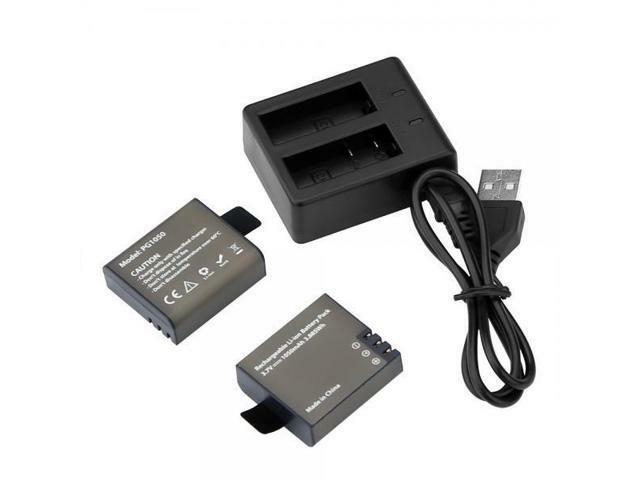 The batteries enable the user to be in action for a longer time. The batteries are rechargeable so whenever power runs out you just plug them into the power source. Note: You should be careful not to overcharge them because if you do so, you damage them. Also it has HDMI. This enables you to connect it to the television if you want to view the pictures or even watch on a bigger screen. It is amazing I tell you! With HDMI, it is a top camera. DJI is known for making drone aircraft, but that’s taught the company a few things about cameras. It’s released a few handheld cameras and related accessories, but the new Osmo Pocket is the smallest handheld stabilizer it’s ever offered. With 3-axis stabilization, you can swing the Osmo Pocket every which way and still get passably smooth footage at 4K resolution. So, What is Dji Osmo Pocket? The DJI Osmo Pocket puts video stabilization in the palm of your hand, with a small camera that smooths out your footage thanks to a 3-axis gimbal. It's pocketable, like the name suggests, and doesn't hog your smartphone, like the larger DJI Osmo Mobile 2. 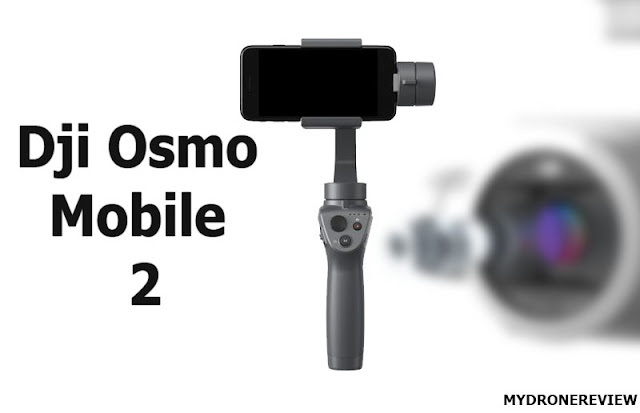 Instead of using the large Zenmuse camera found on the original Osmo or a smartphone as the camera like with the Osmo Mobile, the Pocket borrows more from the camera and gimbal tech found on the company’s smaller drones, like the Mavic Air. The camera that sits on the three-axis gimbal uses a 1/2.3-inch sensor and can capture 4K footage at up to 60 frames per second at 100Mbps. DJI says the Osmo Pocket will last for up to two hours shooting in 4K at a slightly lower frame rate of 30 fps. 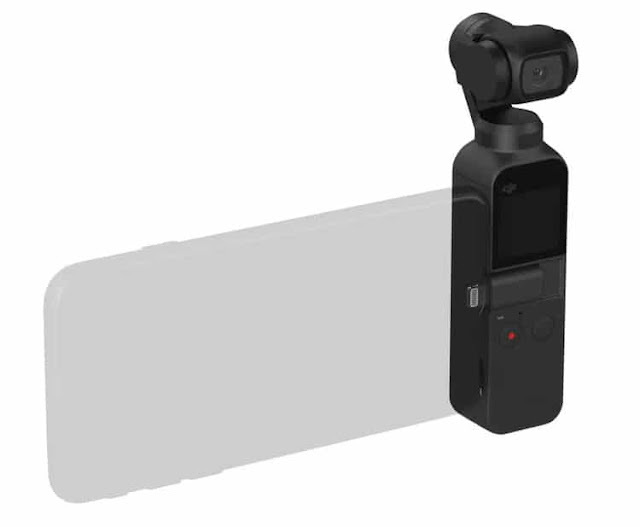 The Osmo Pocket also captures 12-megapixel photos, and it has dual microphones for recording audio. We're still testing out the 4K video smoothing and photo snapping capabilities, but it's promising for video enthusiasts who don't want professional-sized camera stabilization equipment. The onboard audio and price (along with the assortment of tempting accessories that add up) may be the only tough sells here. On top of that, there’s a new feature called FaceTrack, which enables the on-device camera to identify a human face and lock it in frame, even as that person starts to move out of frame or looks up and down. 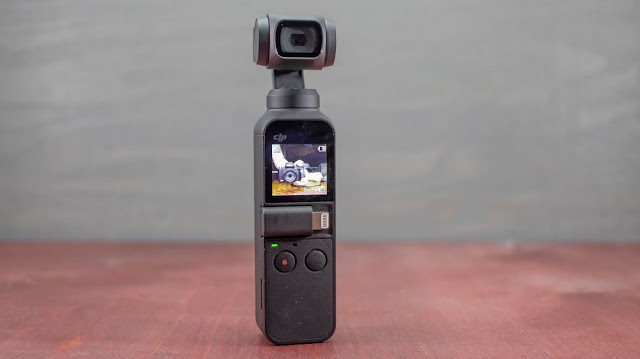 During a brief demo of the new Dji Osmo Pocket, the camera module swiveled around to keep me in frame when FaceTrack mode was enabled, like a tiny robot head following me around the room. Other capture settings will be available in DJI’s newest mobile app, called Mimo. This includes “Pro Mode,” which automatically detects low light scenes and lets you adjust exposure settings, and “Story Mode,” which stitches together select video clips for you. 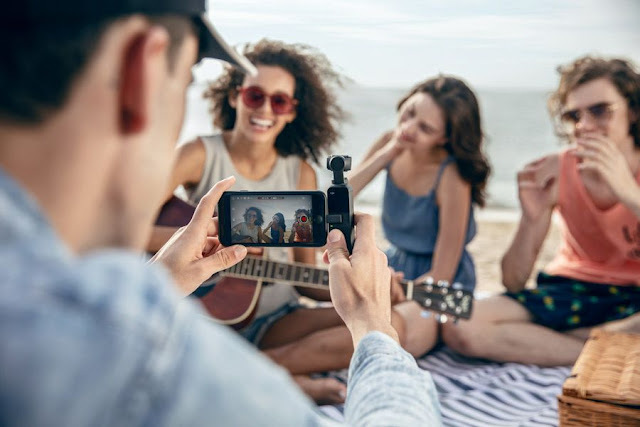 The Osmo Pocket also captures wide-angle still photos, ideal for large-group selfies, and appears to make capturing panoramic photos stupidly simple. The Osmo Pocket will be available for pre-order today for $349, and will ship in mid-December. $349 isn't cheap, and buyers will likely want to invest in accessories at some point, whether a WiFi module, amount, or an extension rod. DJI also plans to ship a 3.5mm adapter for an external microphone, in case the onboard audio capture and noise cancellation doesn’t cut it; we have yet to test this out. But DJI has still managed to undercut GoPro, which sells the Hero 7 for $400. Given the Osmo’s size and on-device capture abilities, it’s not a stretch to think that DJI might be looking to eat some of GoPro’s lunch with this thing. Often these kinds of gimbals are used in conjunction with a GoPro, but if the on-device capture is this good with the Osmo, then you could see how someone might decide not to buy an additional camera with it. DJI even claims that the tiny Osmo’s battery will last for up to two hours of continuous 4K video shooting, which, if true, could very well surpass any GoPro’s battery life. 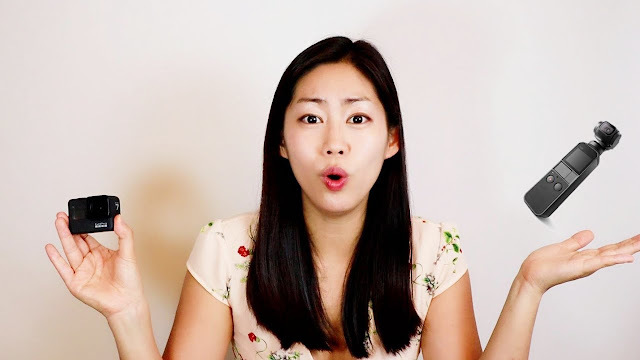 The DJI Osmo Pocket is the all-in-one solution for anyone who wants to capture fluid video, but doesn't want to dedicate a portion of their backpack to carrying around something much larger, like the DJI Osmo Mobile 2 or the DJI Ronin S.
Dji Mavic 2 Pro vs Zoom - WHAT IS THE DIFFERENCES? If you are a fan of DJI's Mavic Pro & Mavic Pro Platinum, today is not a good day! Why? 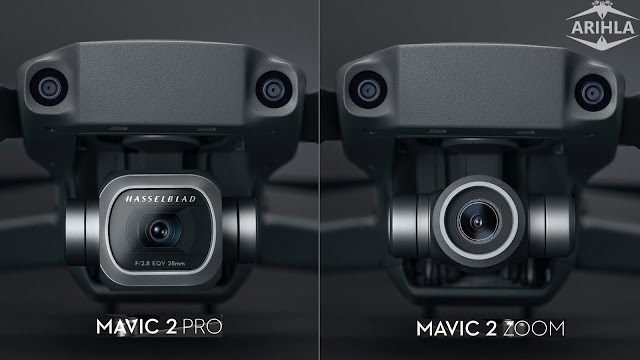 Because, as rumored, the drone behemoth didn't just reveal the Dji Mavic Pro 2, it also introduced a second option in the line: the Mavic 2 Zoom (note: no "Pro"). As the name suggests, the latter comes with a 2X optical zoom (24-48mm and 2X digital to 96mm), meaning there's no "greedy boy" option here, each has its own unique selling points -- so you'll need to think long and hard about which one you really want. 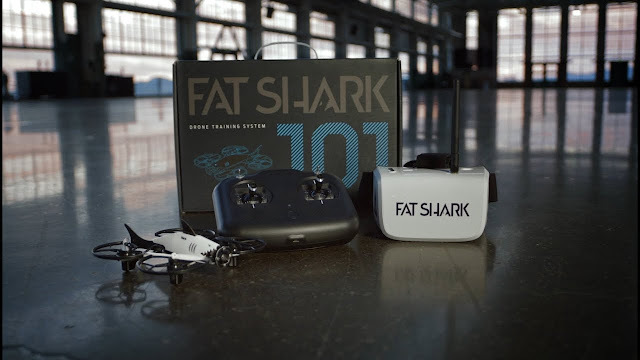 Fat Shark 101 Kit Review - The Best for New FPV Pilots? When it comes to drone-racing goggle, Fat Shark is king. For years, they've been the defacto leader in the field, providing the most advanced consumer-grade analog goggles for those who need to see their drone's point of view (POV). For the most part, the analog standard has been working out well. Or, rather, well enough. Fat Shark is about to change all that, and is boldly moving into the digital frontier of the drone-racing goggle market. According to Engadget, this fall the company will release a $350 Base HD all-digital goggle set, with 720p fidelity on a "Liquid Crystal on Silicone" (LCoS) display to provide adequate brightness, clarity, and contrast. The Base HD set offers users a 28-degree field of view (FOV), which is more than enough when it comes to racing unmanned aerial vehicles (UAVs) around a pre-determined track. 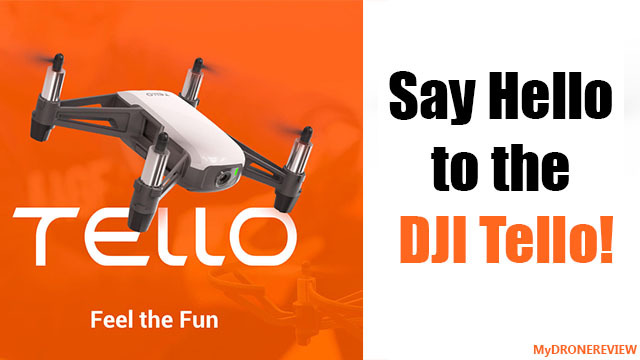 Before the new year, Fat Shark has announced the "Fat Shark’s 101 kit"
Chinese drone manufacturer, DJI just released two new products right before the start of the Consumer Electronics Show (CES 2018) in Las Vegas. The first is the redesigned Osmo Mobile 2 for smartphones. The Dji Osmo Mobile 2 adds some useful new features along with a more attractive price point. which will initially be exclusively for sale at the Apple store online. The second is the all-new Dji Ronin S stabilizer for mirrorless and DSLR cameras. Yuneec has introduced the Yuneec Mantis Q, a drone with an integrated 4K camera, electronic image stabilization and voice control. The model is designed for both outdoor and indoor use, utilizing down-facing dual sensor alongside infrared detection to navigation inside buildings. Mantis Q includes a controller with a smartphone mount in addition to the voice control. The Mantis Q drone boasts an impressive ‘claimed’ flight-time of 33 minutes, a maximum speed of 44 miles per hour as well as 4K and full HD video capabilities, although the 3-axis digitally stabilized “gimbal” for full HD only, is a bit of a let-down. This new drone from Yuneec will feature an all-new voice control feature which we are looking forward to trying out ourselves.